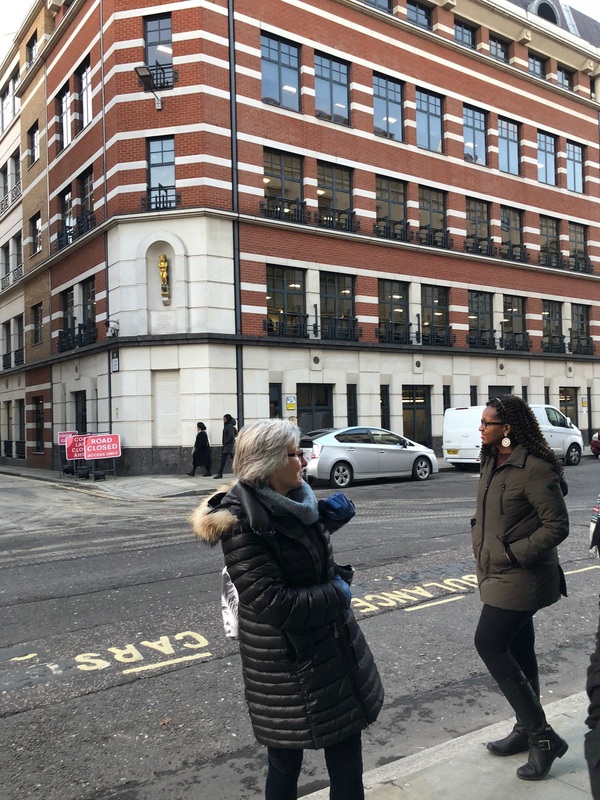 On Thursday 14th December 2017, Dr Razak Abubakari and his MSc Public Health students braved the cold and embarked on a health-related tour around London guided by city expert, Mary Taylor. 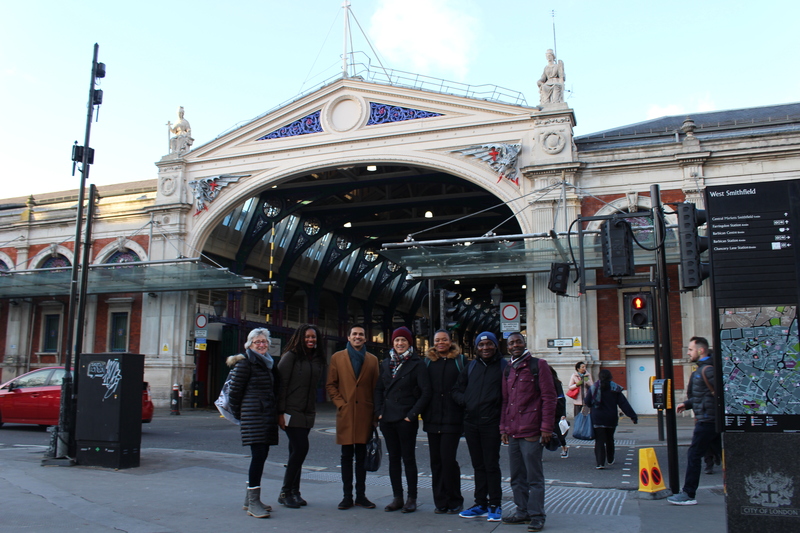 The first stop was Smithfield Market (aka London Central Markets) – the only surviving market in London from the Medieval times where livestock has been traded for over 1000 years. 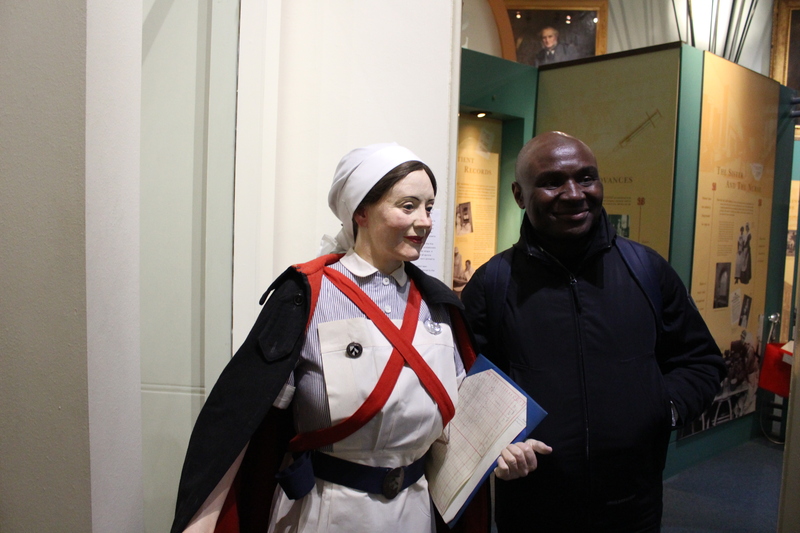 …before moving onto St Bartholomew’s Hospital Museum where the students learned about the history of Britain’s oldest running hospital and some of its grizzly facts. 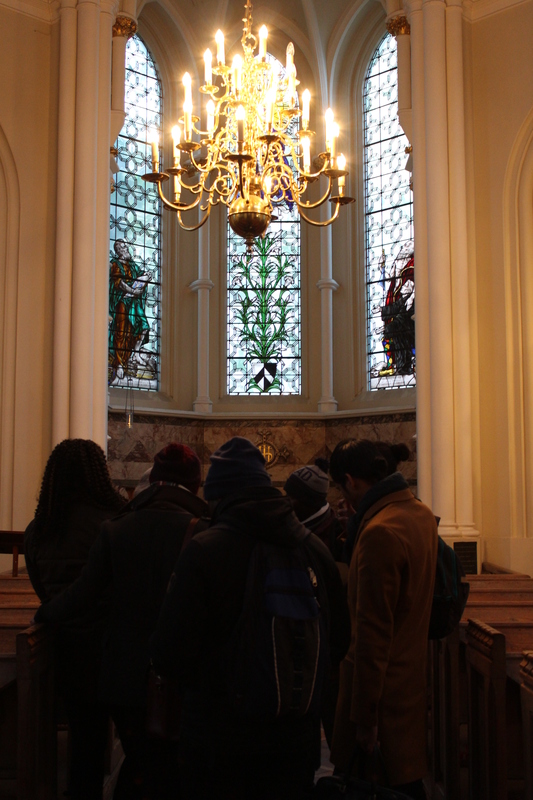 Inside St Bartholomew the Less – a chapel within the series of churches associated with St Bartholomew’s Hospital. 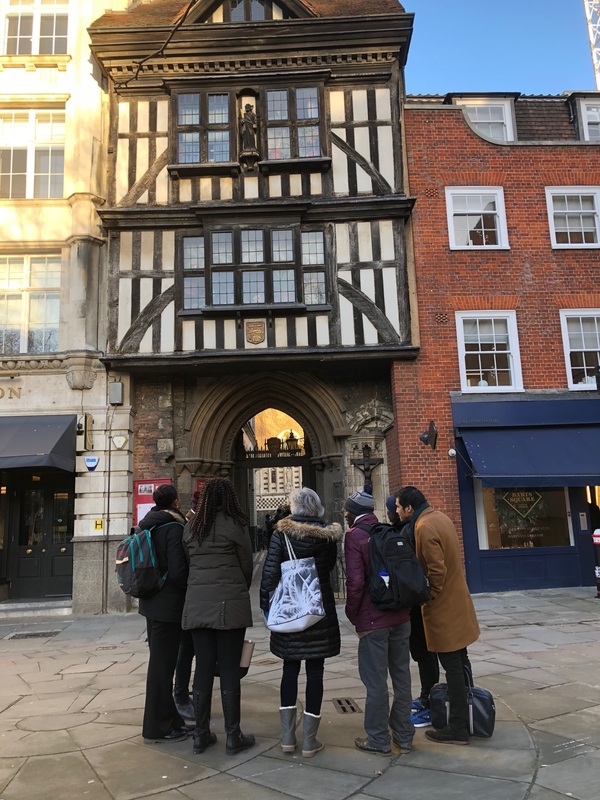 The point where the Great Fire of London ended in 1666 is marked by the Golden Boy of Pye Corner monument. The fire lasted for 5 days and destroyed one third of the city. 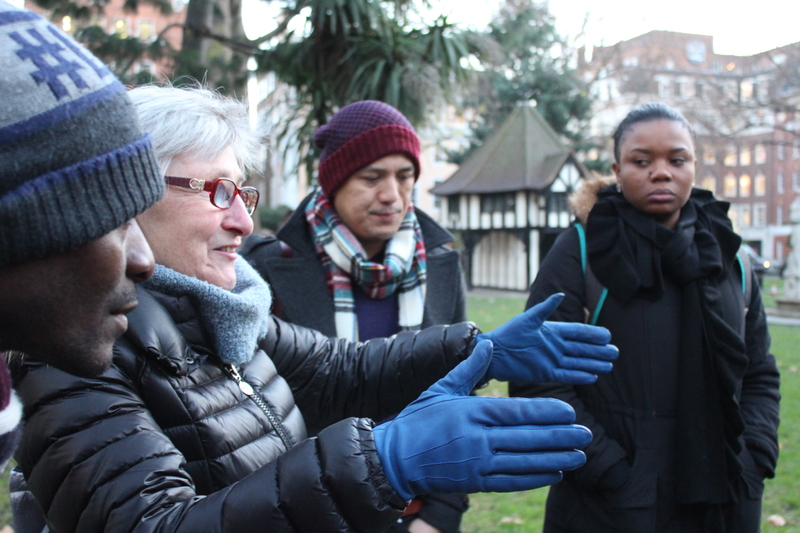 Next we went to Soho Square, where students learned about the story of Mary Seacole, the nurse who risked her life to help British Soldiers during the Crimean War (1853-1856), right outside the house she once lived in! 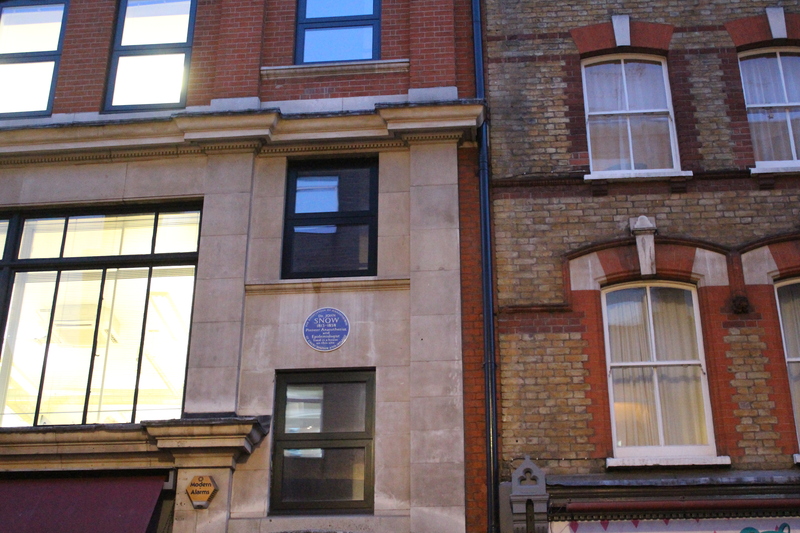 We then moved onto John Snow‘s place of residence, also in Soho. 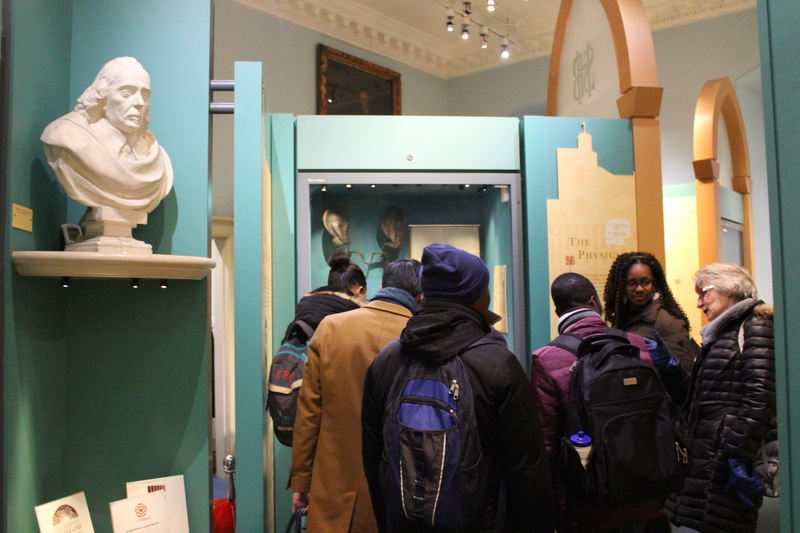 John Snow was a leading figure in the the development of anaesthetics, and is also known for his discovery of the Cholera outbreak in Soho in the 1800s. 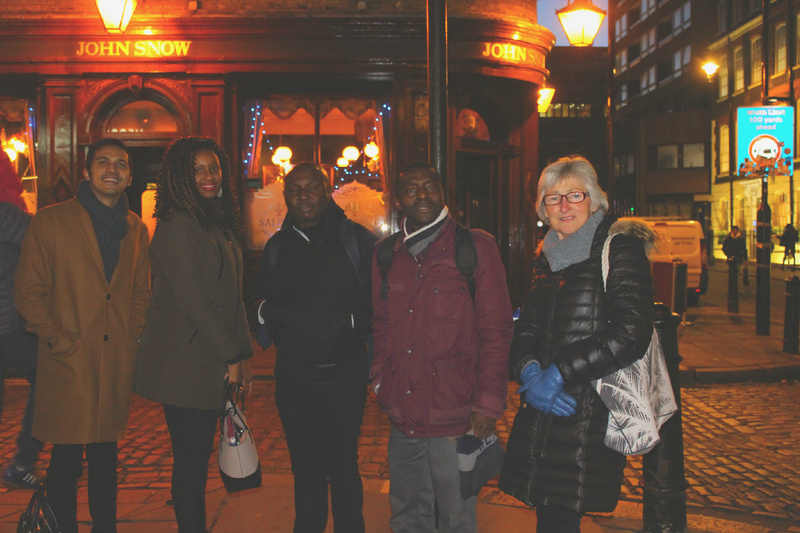 Outside the John Snow pub, situated by the (now removed) pump where the Cholera outbreak was discovered. 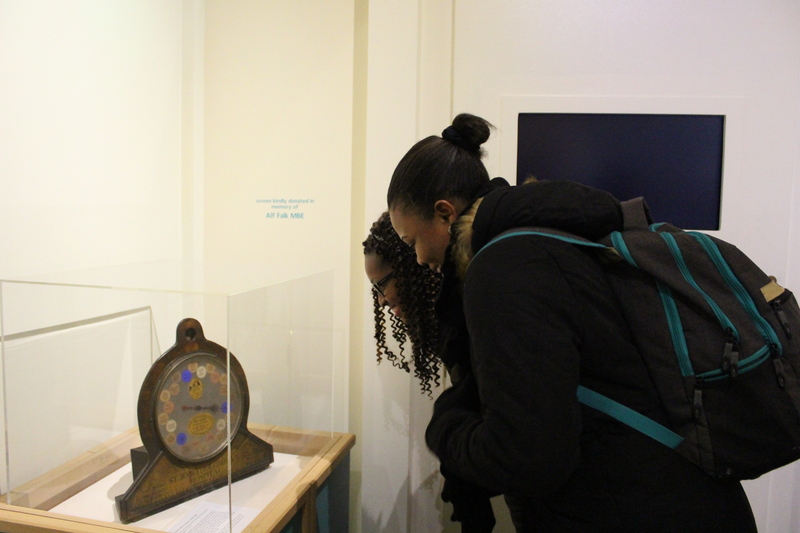 We hope our students had fun learning about the historical aspects of Public Health around London and that the tour provided strong context to enhance their studies!